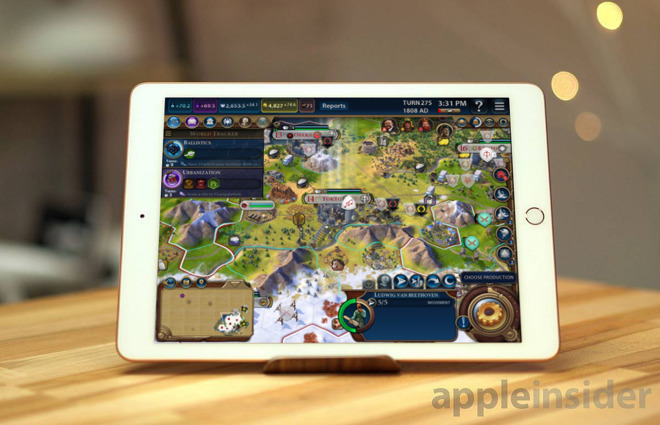 While the vast majority of the report reiterates what has already been gleaned about Apple's subscription and news services, it delves a bit more into Apple's rumored games as a service plan. According to the report, Apple isn't looking at building a off-device rendering service like the defunct OnLive, or Google's new Stadia service, it is looking at a paid bundle including titles from different developers, that are all accessible for a single monthly fee. According to Bloomberg's report from Saturday morning, revenue would be divided up amongst the paid titles in the service according to how long a user played the game. Not expected to be included are titles that are free to play, and rely on in-app purchases for revenue. Mark Gurman at Bloomberg doesn't pin down a release date. Rather, he suggests that it could be released either at Monday's "Its show time" event, or later in the year, at Apple's World Wide Developer's Conference in June. Apple's "It's show time" event on March 25 is anticipated to feature the launch of the Apple News subscription and the debut of Apple's streaming video service. While the event offers an opportunity for Apple to introduce other elements, there is a remote chance of an announcement about Goldman Sachs' credit card it is thought to be working on with the iPhone maker. This is a great idea for users and for developers of games with good replay value. Not so great for Google's AdMob platform, which would lose ad business proportionate to the popularity of this service. I don't think users will be too upset at the loss of banner and interstitial ads. hard for the analysts to get leaks like they can for hardware products. No supply chains to leak the info. Apple does have to do something about games. The freemium, IAP game scene is not allowed in my house. It is too much like manipulation. But it seems no one, or hardly anyone, wants to pay a reasonable price for a game in the App Store. So I can see why a subscription approach might be considered. However, I can’t do an Apple Music family subscription, netflix and prime, and then add more subscriptions on top of that. It won’t happen. Not everyone is on an Apple executive’s ludicrous salary. Surely not all their friends are Larry Ellison. Why can’t they just introduce time limited free before you buy? I wonder if it makes sense to pay based on how long someone has played a game. The cost to develop the game is the same, irrespective of how long someone plays it. Then again, it's probably something like putting your money where your mouth is. If you've got a good game, you'll probably make a tidy profit. It also makes sense to exclude free-to-play, IAP-based games like SimCity BuildIt. With their "wait or pay to progress" mode, people will probably just start manufacturing stuff and then check back later when the stuff is ready, rather than wait in the game. * yes, I know, "Field of Dreams", actually!